Preheat the oven to 350 degrees Fahrenheit. Grease a muffin. 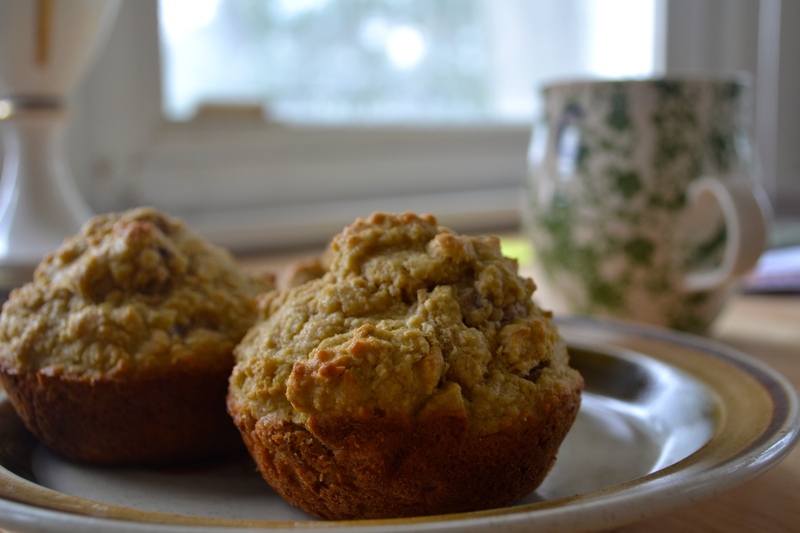 This recipe makes about 8 medium sized muffins. 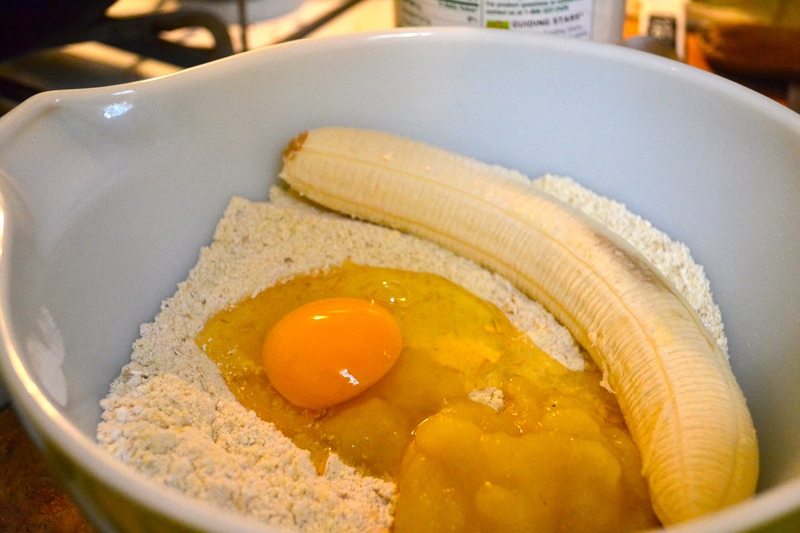 In a bowl, mix everything together, making sure the banana is smashed up and the egg completely mixed. Scoop the batter into the muffin tin. Mine hold about 1/4 cup each. Usually I use buckwheat flour instead of millet and oat, but I ran out this morning, and this turned out to be even better. Hearty is the best word for it! 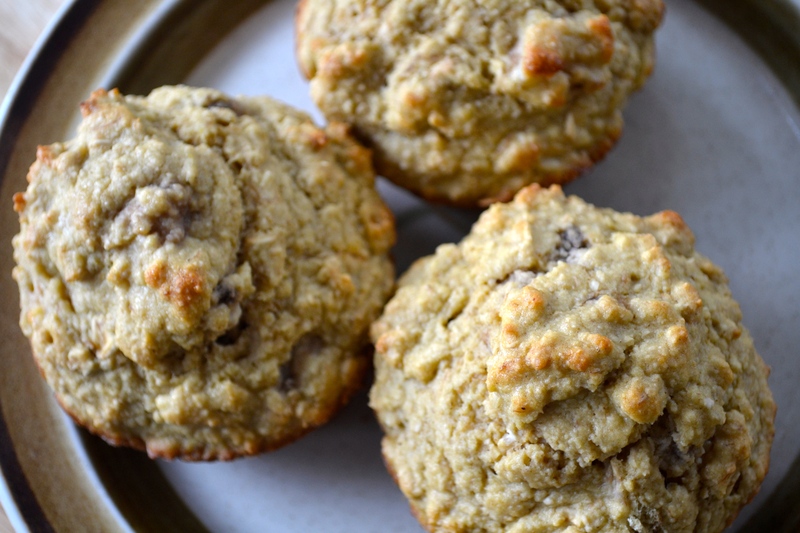 Even though this has no sugar, it’s still sweet enough from the banana and applesauce to make you feel like you had a treat to start the day off. This entry was posted in Dairy Free, Gluten Free, Vegetarian and tagged baked goods, breakfast, dairy free, gluten free, millet, muffins, oat. Bookmark the permalink.